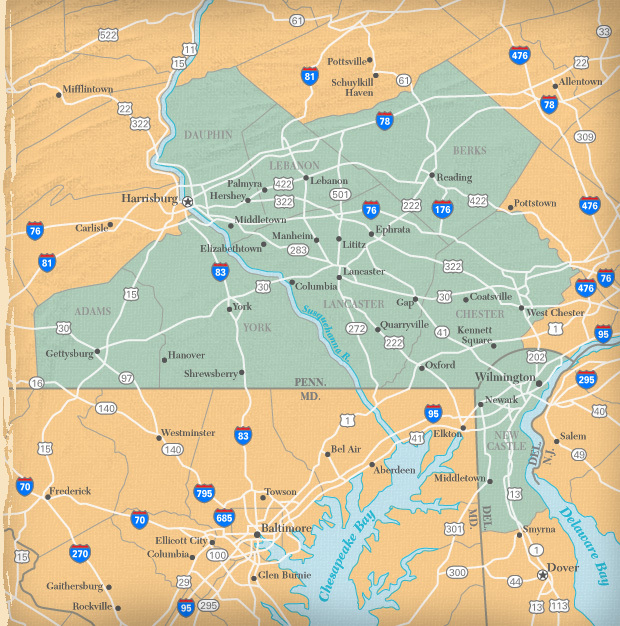 Restore ‘N More is pleased to serve residential and commercial clients throughout Central PA and Northern Delaware. County or state not listed, but near the listed service areas? Don’t hesitate to email us if your project is located outside of these service areas. If you are calling from outside our service area, please email us first.